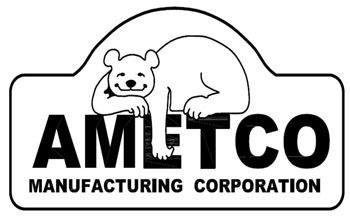 Ametco Manufacturing Corporation began operations in 1966 as a full line metal fabricator and has evolved into a unique combination of manufacturer and a stocking warehouse of a variety of products that you, the architect, can utilize as a one source supplier of these materials. As a manufacturer, Ametco produces our own line of security fences and gates that, being made to order, gives you an almost free reign to design how these products will fit into any project you have to create. Ametco also manufactures perforated metal and plastics for use as displays etc. All of our items can earn you valuable LEED® points for working with a local domestic manufacturing company. Selected styles of our fencing and gates are available to you in aluminum, stainless steel or galvanized steel all with a durable powder coated finish that will add flair to the normally mundane fencing needs. If you have a need to secure an area, then Ametco has the materials that will answer that need. Our fencing is perhaps the most secure materials available for this. Combine that with our ability to take these same materials and provide access by making them into swing gates, cantilever slide gates or v-wheel gates. The open grille static fencing panels can also be used to create a handrail system that will meet both loading requirements as well as opening size limits. View our louvered styles and you will instantly “see” usages for concealing things you might need to keep from view.